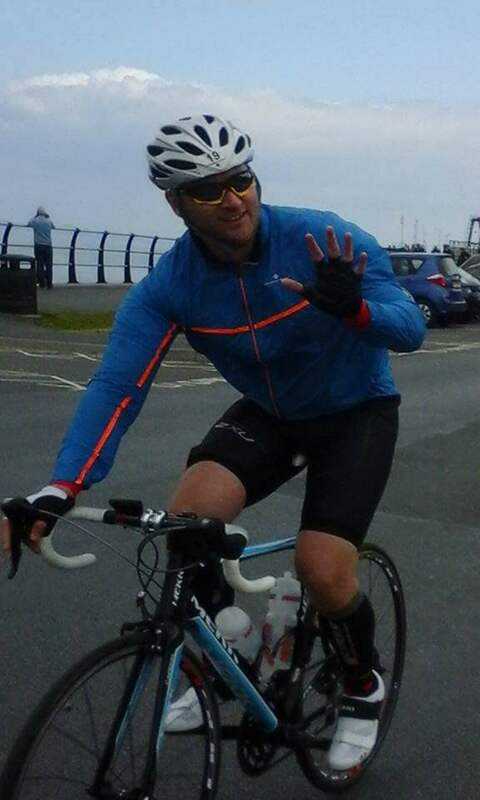 Last weekend, Mark White completed the "Arran Man" (Iron Man triathlon event on Scotland's beautiful island of Arran) 2.4 mile sea swim + 112 mile bike ride + a full marathon, 26.2 mile run to finish. Answering the sponsorship call seemed fitting as Mark is an Artillery veteran and CAS has a niche service contract with MoD to monitor gun noise on a number UK firing ranges. Arguably a greater privilege than offering modest sponsorship was taking up the invitation to support the event in person. Professionals and well-wishers joined in marshalling, staffing subsistence stations, providing first aid cover and for the most energetic of supporters, even running a few "klicks" alongside participants towards the end of the course. For many, participation was limited to clapping, cheering, shouting encouragement and regularly checking that the Arran Ale was still cool - participants would surely want a cold one when they were done, so it was a priority duty. The training - physical and mental preparation that had gone into the event by participants was evident. Enduring the long, hard, sometimes lonely miles was all that would lead to completion. Those leading the field clocked home in remarkable times from just under 12 to 13 and 14 hours. And there were Arran Women among the best of the Arran Men. For the majority, what mattered most was that they finished the course within the 17 hour limit. Mark did so with a time of 16hrs 16mins, and never was a grown man so proud to wriggle into so ordinary a T-shirt.... ordinary that is apart from the extra-ordinary declaration that the wearer is now an Arran Man. Mark's Virgin Money donations page is still open. Proceeds for Legion Scotland will be used to benefit service men and women through a variety of causes. The current total raised by Mark stands at £1,700 which I understand is to be match-funded which means a remarkable £3,400 ... or £200 for every hour of paddling, pedalling and pounding the road. Three cheers for Mark's big guns!